Finances – Silver, Gold, etc. Paracord is a prepper’s best friend – we’ve made everything from lanyards, belts, bracelets, and rifle slings out of it to ensure we are never without rope. 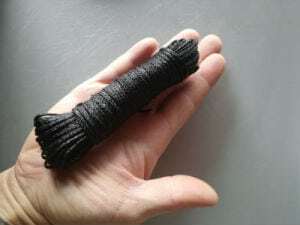 However, even though paracord is one of the cheaper preps, the price starts to add up as you find more and more uses for rope out in the field. There are alternatives to paracord out there, and we’ll discuss one of them. If you’re like me, once you’ve received a nice new 100 foot spool of paracord, it pains you to cut it. 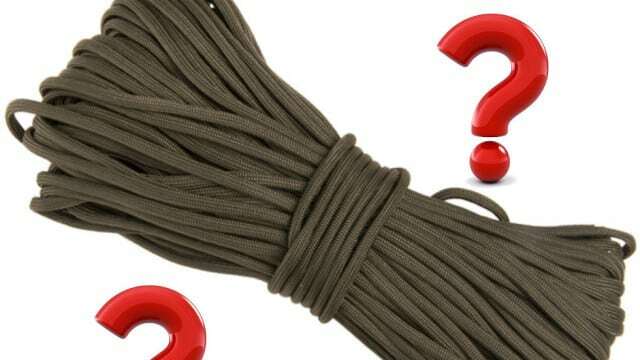 Depending on the color/design, paracord may run you around $8-$13 for a 100 foot section. Anytime I’m out in the woods and have a need to cut down paracord to size, I always try to avoid it. It’s sort of a mental game. For one, it’s because of the price value. Secondly, I don’t want to end up with a whole bunch of slices of paracord in my pack after I use them. Sure you can use knots to connect cut pieces of ropes, and sure you can use the sheep shank knot to avoid cutting a piece of rope. However, I would really like a piece of cordage that doesn’t bring the price burden that paracord does. – You can get about 1,000 feet for only about $15!!! That’s less than 2 cents per foot! – Depending on the brand, typical breaking strength is 150-350 lbs which is more than enough for typical use. – It’s wayyy thinner than paracord, making it much easier to carry more. Knots also hold better with this line. Below is a picture of 100 feet. You can see how compact it is….so awesome! – The line is treated in a tar substance which makes it very durable to environmental insults such as UV rays, dirt, fraying, etc. It is not sticky and will not rub off on your gear or hands. – It’s used by expedition crews and many in the survival community. Here’s a brand that I bought from amazon. I purchased 745 feet for only $11. The only negative aspect was that there is a decent odor to the rope. I do not know if this would negatively impact its use in making primitive snares. However, with the vast majority of rope use being shelter and tool building, this works great! 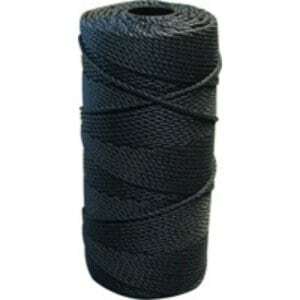 I used this out in the field and had no quarrels about cutting in to the rope as it was only 1.5 cents per foot! I will most likely never buy more paracord since I have a couple hundred feet. However, I’ll probably be buying bank line from here on out! Purchase a small roll and test it out. You won’t be upset! Off Grid Prepper Communications with goTenna! Welcome to On Point Preparedness! My name is Mike. Six years ago I started preparing as I saw the world was falling into perilous times. But then by the grace of God, I was saved by Yeshua Jesus Christ. I believe we are in the end times, and my mission is to bring people to Christ and ensure they are as spiritually, mentally and physically prepared as possible.